It's Just the Coffee Talking: Where are they now? The kids from the Underoos ads! Where are they now? The kids from the Underoos ads! When the color lasts, and the fit lasts, and the quality lasts, and the joy lasts, it's got to be Underoos... the underwear that's fun to wear. 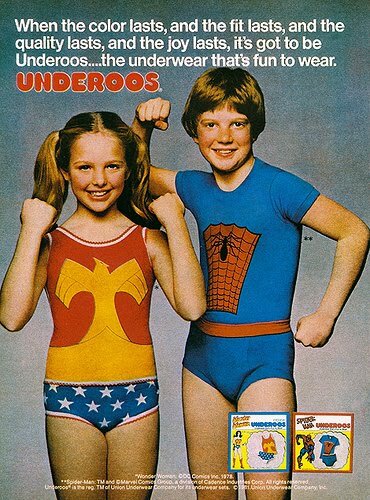 Earlier this week I remembered "Underoos" (you know, the OMGosh so hugely popular underwear sets for kids in the late 70's and early 80's) and was only a little, tiny bit still upset that I was never able to own a pair. Honestly you couldn't even buy them in my hometown. A tiny little town in the middle of the heartland of America surrounded by mostly farmland. We had a Ben Franklin store as our only major retailer and although they did carry a small selection of clothing, I'm not sure I ever saw Underoos there or I'm sure I would have begged for them so hard at Christmas time for like, six years in a row that perhaps I would have gotten a set of them at least once. Oh - by the way - the 'Ben Franklin' store? I don't know if they are still around or not but not but I quickly jumped over to Wiki for you, just in case you didn't know what I was talking about there. 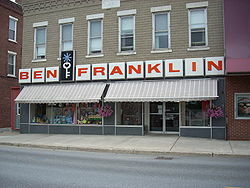 Ben Franklin is a chain of five and dime and arts and crafts stores found in small towns throughout the United States, currently owned by Promotions Unlimited of Mount Pleasant, Wisconsin. They are organized using a franchise system, with individual stores owned by independent proprietors. It was perhaps the first retail franchise, starting in 1927. They are named after Benjamin Franklin, taking a cue in their merchandise offerings from Franklin's saying, "A penny saved is a penny earned." With the memory of Underoos bringing back some of that childhood nostalgia, I found myself singing their commercial jingle in my head and their tag-line "underwear that's fun to wear" playing over and over in my head. Kids everywhere at that time knew that phrase and used it often as it was just 'fun' to yell out or shout, like when you were swinging really high on the playground swings, or jumping off high stairs or doing anything really. When you are a goofy little 8 year old kid, screaming out anything that has the word 'underwear' in it is hilarious. As I googled Underoos I saw the image I posted at the top of this post of the two kids modeling the Wonder Woman and SpiderMan Underoos. IMMEDIATELY I was 9 years old again, and looking at this advertisement in a magazine and dreaming about the day I might get to be the proud owner of Underoos. And wishing so badly I was that little girl in the ad because she was soooo lucky. I never, ever, did get Underoos. We couldn't afford them at the time even if they had been available for sale in our town. I'm almost positive that one of my little brothers (3 of them) did get SpiderMan Underoos eventually. Since all our Christmas shopping, school clothes and shoes came on order from a Sears catalog and delivered to the shoe store in town which also served as a 'pick up' location for the town's Sears mail orders, I can only assume my Mom found them in the Sears catalog. Or they were possibly bought at a neighbor's garage sale for a quarter. Yeah, it was the early 80's and it could have happened that way. .... don't mind my rambling. 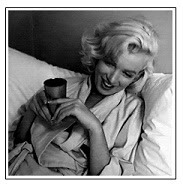 It's just the coffee talking again. Although we have the internet now and everything... EVERYTHING is available at the click of a button, you have to remember that in the 70's and 80's ordering was done by mail or telephone and you found your items through catalogs mailed to your house. If you didn't see it in a catalog, it didn't exist. So anyone born in the last couple decades is probably saying to themselves "They still sell superhero underwear, what's the big deal?" Oh child... it was a big deal! Ha ha ha. It was a REALLY big deal at the time. But yes, today you can buy all sorts of superhero underwear... and you don't even have to be a little kid to wear them. A quick glance at Amazon showed me that if you are a grown man, who wears size 2XL you can STILL even wear your superhero underwear if you wish! Isn't the internet grand? But I'd still like to know where the two little kids from the ad are today.